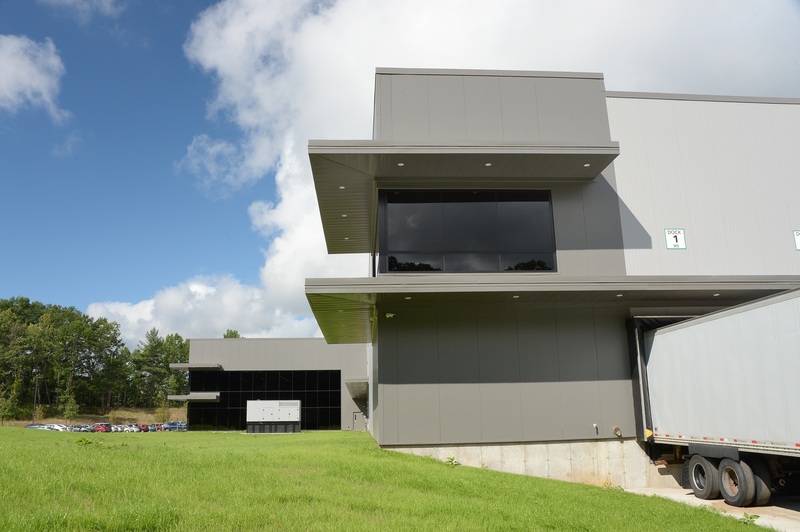 LEWISVILLE, Texas, April 4, 2019 – To keep up with the company’s growing customer base, SKS Bottle & Packaging Inc. required a new, larger facility. 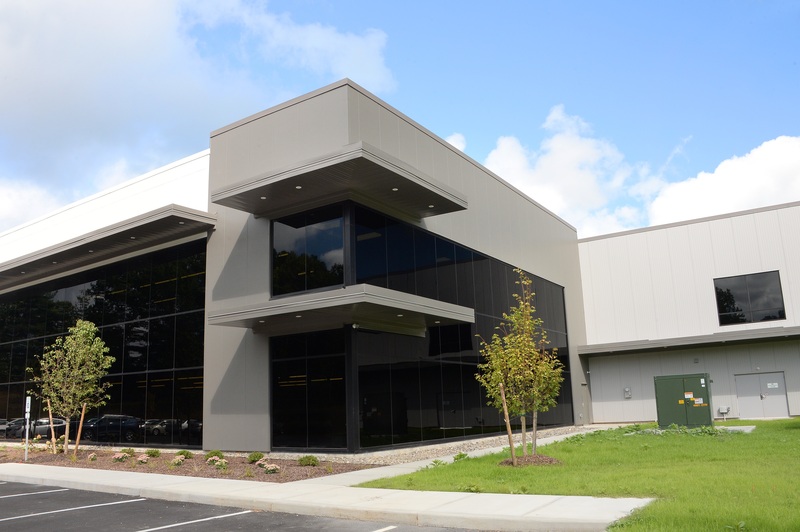 To keep any interruption of service as brief as possible, the 140,000 square foot office and warehouse was constructed with insulated metal panels (IMPs). 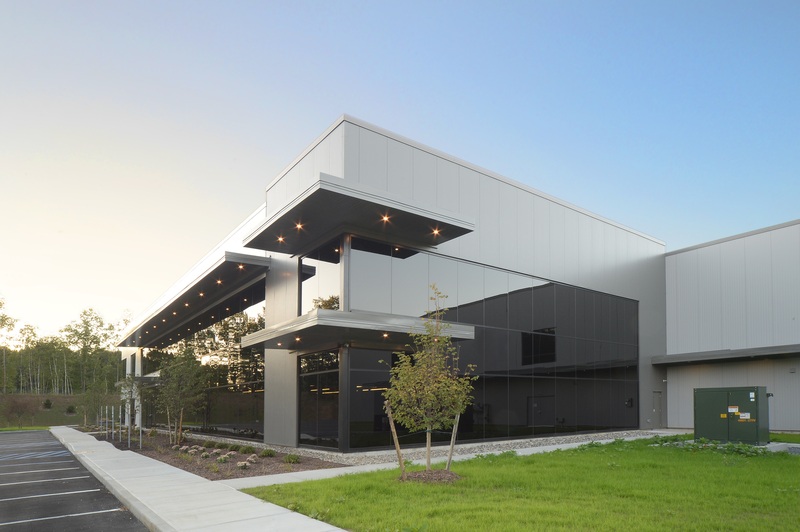 Metl-Span delivered more than 90,000 square feet of CF-42 insulated metal panels in two profiles and colors, both filled with a three-inch urethane. 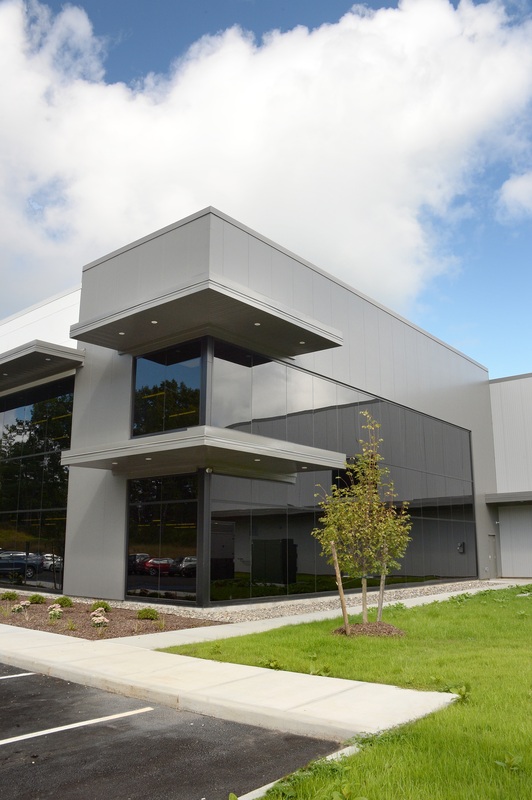 SKS moved from Watervliet, N.Y., to this new facility in the WJ Grande Industrial Park in Saratoga Springs, N.Y., less than five miles from the home office of Munter Enterprises, Inc. who was the general contractor as well as the IMP installer for the project. 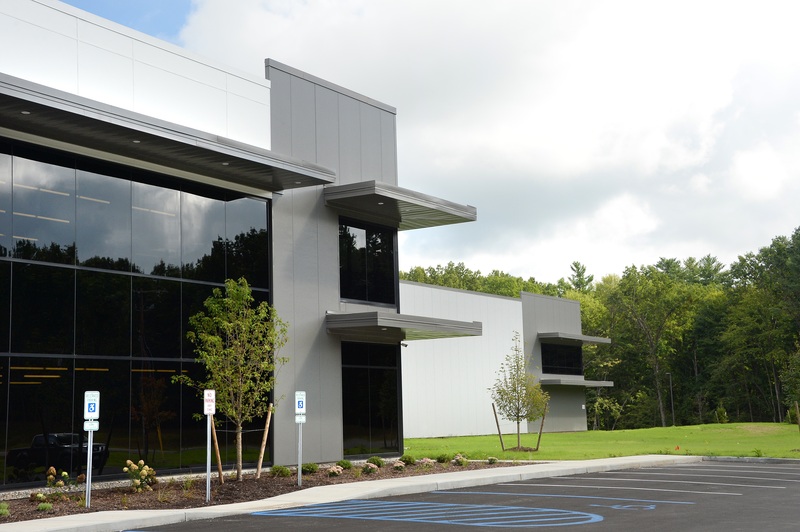 Since beginning operations in 1972, Munter Enterprises Inc., has become a leader in the Northeast construction industry. Munter Enterprises offers their customers a variety of construction services beginning with land acquisition and design, through planning and general contracting. Self-performing the major trades, such as steel and IMP erection, using the highest quality and skilled personnel in the region, assures their customers' projects are completed proficiently and safely. 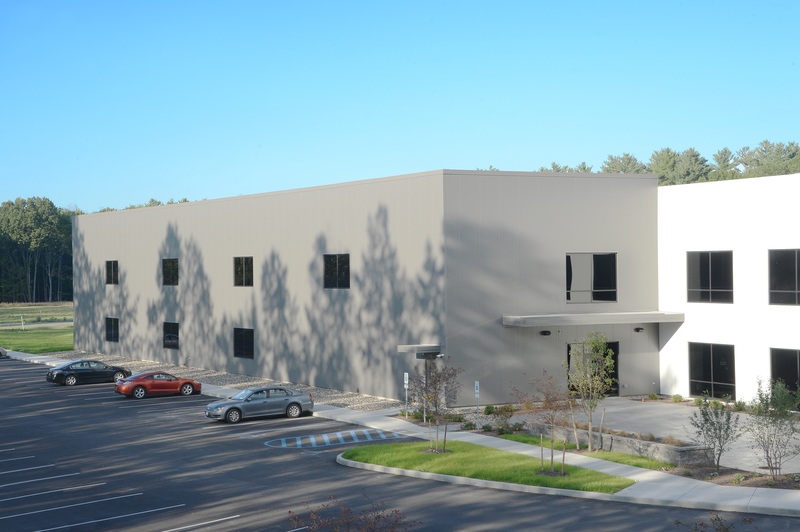 With the assistance of firms such as Paone Architecture, Munter Enterprises offers comprehensive guidance through all stages of design-build projects - site and building design, local permitting, and of course the construction. This has enabled Munter Enterprises to provide construction services for some of the largest companies in the region and nation. 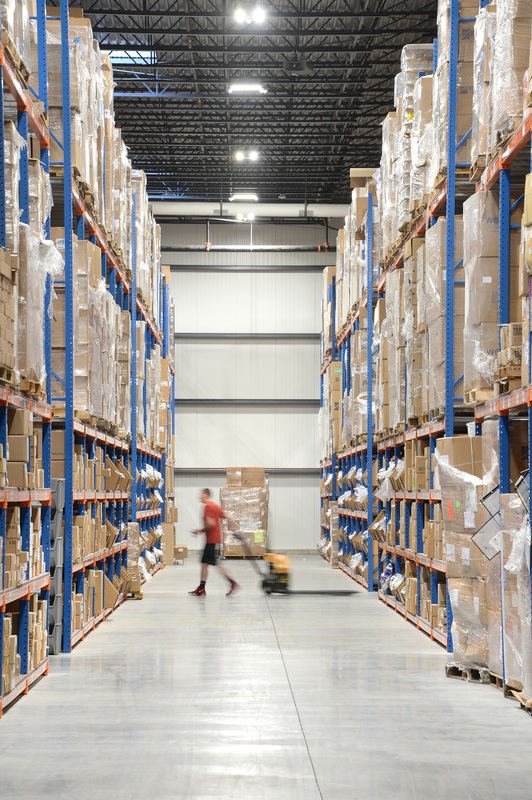 Munter Enterprises is committed to the continued satisfaction of their customers by providing many more years of quality, value, safety and superior service. SKS is a supplier, consultant and designer of plastic bottles and jars, glass bottles and jars, metal containers and closures for packaging. SKS is a worldwide supplier of containers, offering more than 6,000 containers and closures. 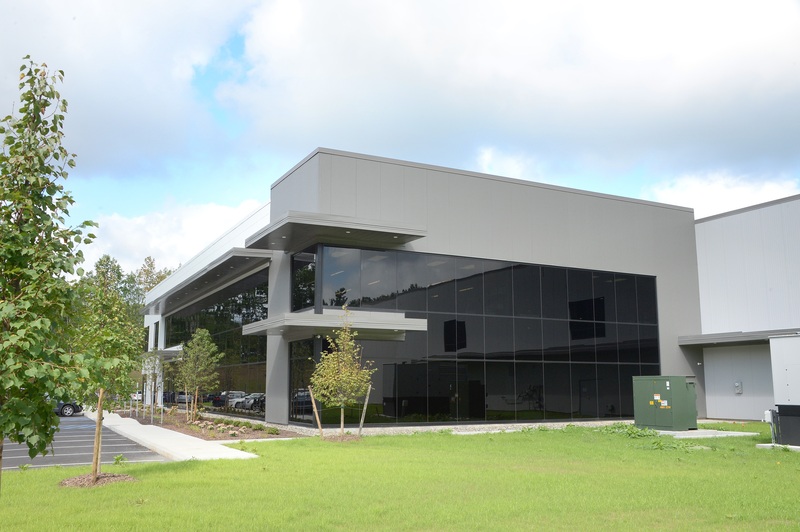 The offices located in the front of the building are clad with the CF-42 panels which feature a 24-gauge Galvalume exterior in Charcoal Gray with a Santa Fe finish. The remainder of the CF-42 insulated metal panels have a 26-gauge Galvalume exterior in Tundra with a Light Mesa finish. The interior of all of the IMPs is 26-gauge Galvalume in Igloo White with a Light Mesa finish. The flat roof features an internal gutter system and is 31 feet high. The IMPs exceeded the eave lines to create a parapet of varying heights to break up the “boxy” look of the building and provide screening of the mechanical systems on the roof. In some spots, the IMPs are 35 feet high and in others, they are stepped down to 32 feet. 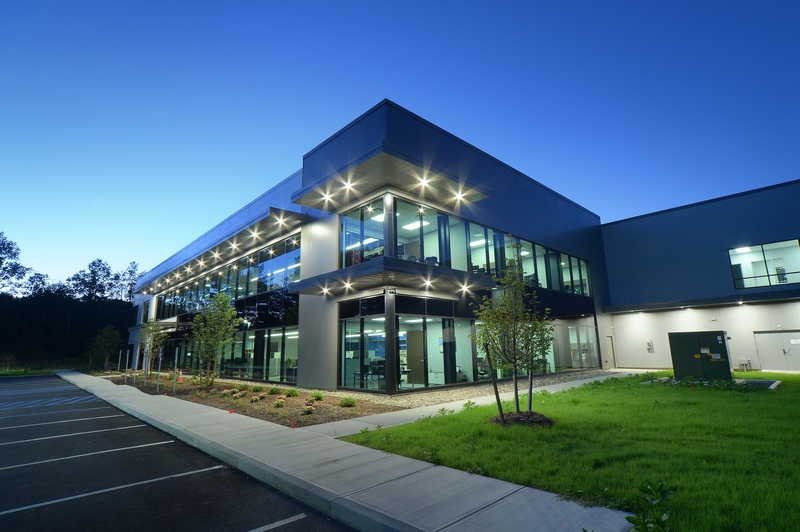 The offices and the corners of the facility are highlighted by glass – even the upper corners of the warehouse area – with overhangs above and below the windows to enhance the aesthetics of the building. The soffit panels installed on these overhangs are Artisan L12 beaded soffit panels from MBCI, a sister company of Metl-Span, so the colors match perfectly. Using the beaded panels greatly reduces the chance of oil canning. 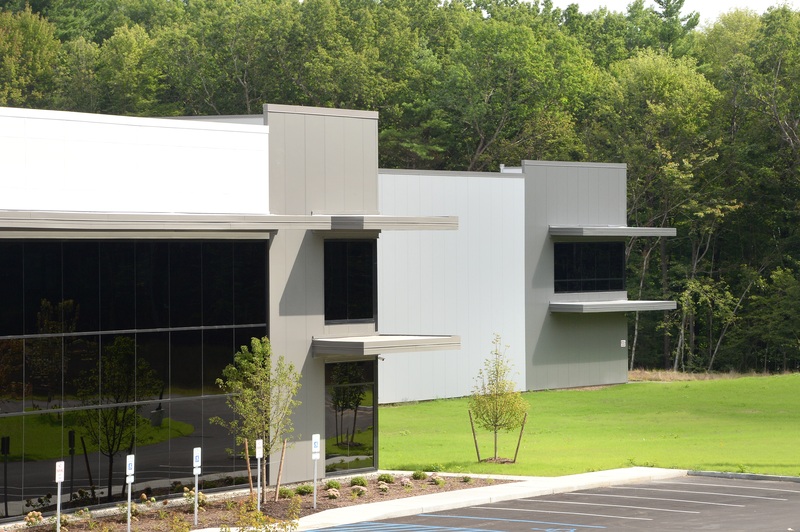 John A. Paone, RA, Project Architect at Paone Architecture in Saratoga Springs, has gotten quite comfortable taking advantage of the many benefits offered by insulated metal panels. “It’s the one-stop shop,” he says. “You only have to visit the wall once during installation. In one pass, the 'skin' you are installing is a finished product that can easily meet the energy codes - which are continually getting stricter. And with the variety of colors, finishes and textures, it’s easy to achieve a great look. Architect: John A. Paone, RA, Paone Architecture, Saratoga Springs, N.Y.
IMP Installer: Munter Enterprises, Saratoga Springs, N.Y.